Alarm bells are ringing in Northern Europe, over the Estonian government’s latest attempt to take a massive number of genetic samples from its citizens. Science, technology, and a government have usually been the perfect trifecta in every dystopian sci-fi thriller, as elected/unelected officials tend to gravitate towards all-seeing, all-knowing and all-powerful — over the mindless masses who unknowingly surrender their freedoms for comfort. This seems to already be the case in the tiny former Soviet nation of Estonia, as its leaders have pushed for all things digital. The government has made it a top priority to embrace blockchain technology, provide internet access to all, and embark on the complete digitization of its citizens on one large platform — all owned by the government. So, it comes as no surprise, when the Estonian government has been quick to move in the creation of a biological database that collects DNA sequences of its citizen. Through mass surveillance programs, Estonian government will not only know what their citizens are searching on the internet, but will also have the knowledge of personal genetic information: ancestry charts, genetic composition, health history, and anything else that can be extracted from an Estonian’s double helix. So much knowledge in one organization is absolutely terrifying. Starting immediately, the Estonian government will publicly launch the program to recruit and genotype 100,000 residents of the country as part of its National Personalized Medicine campaign. In the first run, the government projects an eight percent DNA grab of its total population. If successful, all indications are pointing to more massive grabs, as government officials are racing to construct its national DNA database. The genetic testing initiative is a joint development program of the Ministry of Social Affairs, the National Institute for Health Development and the Estonian Genome Center of the University of Tartu, which currently maintains the nation’s DNA database of around 50,000 citizens. In return for the precious genetic information, the Estonian government will offer citizens personalized health information that could prevent future illnesses. Each participant will receive a personalized genetic report, which offers lifestyle and health advice based on genetics. The reports can only be accessed on the government’s national e-health portal. Andres Metspalu, Director of the Estonian Genome Center at the University of Tartu, embraces the genetic initiative to triple the size of its national DNA database. 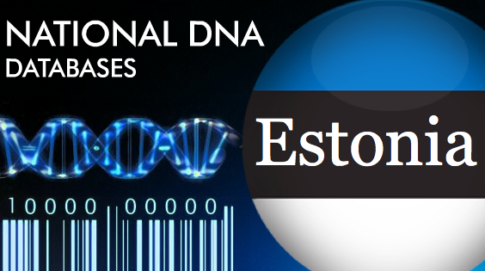 As it now stands, the Estonian government publicly launched the first phase of a massive DNA grab that aims to acquire genetic information from 8 percent of the total population. While it is still unknown why the government is suddenly rushing to triple the size of its DNA database, there is a risk that future DNA grabs could become mandatory. All of Europe should be watching the developments currently unfolding in Estonia because government DNA grabs could be coming to a region near you.